At the end of the year we take a full-day as a team for an end-of-year meeting. Like all of our meetings, our time together is enjoyable, but we’re focused on our reasons for being there. We’re closing out the current year, reviewing how we did, and setting goals for the next year. In addition to making sure we close things out with the business, we also acknowledge the holidays that the end of the year brings. 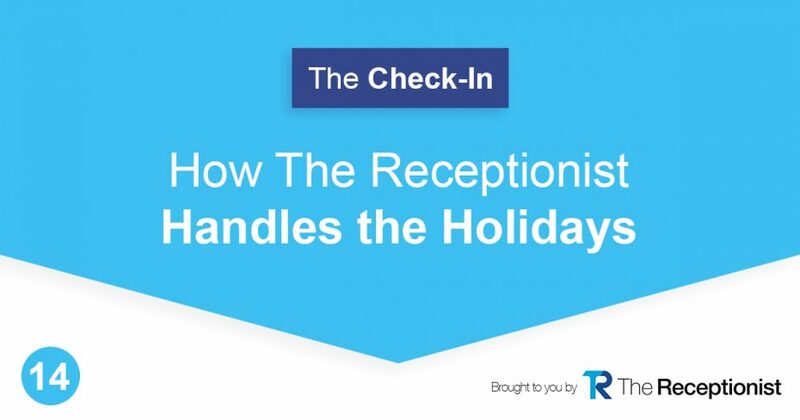 But, in true Receptionist-style, we’ve created something that works for us. Instead of having our team’s holiday dinner in December, when schedules are tight and restaurants are packed, we enjoy a dinner together in January. This has been really enjoyable and is something we’ll continue to do. We’re a customer-facing company that also wants to take care of its team. So, when we thought about what to do about taking time off, it didn’t feel right to leave our customers without support for a week and it also didn’t feel right not to give our team some well-deserved time off. So, we came up with a solution that works well for everybody! Check out the podcast to hear more about what we’re doing to maintain our radical customer service over the holidays, but still giving our team their time off.